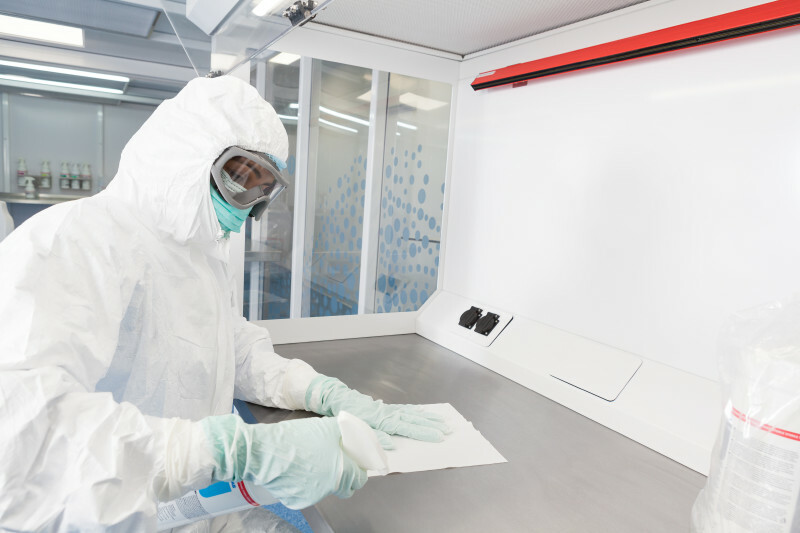 Our laminar flow hoods are perfect for use in a laboratory, manufacturing area or cleanroom. We have created a standard size unit laminar flow booth, that suits a wide number of applications and is available from Cleanroomshop.com. We can also design bespoke laminar flow units, tailored to match your process. A unidirectional down-flow of clean air ensures that only extremely clean air passes down over the process, protecting sensitive products and processes from airborne particulate. This means that the environment will be free from any particles shed from operatives, and any particles generated from the process. Each laminar flow hood comes supplied in assembly kit form with easy to follow step by step instructions & video instructions for easy self assembly. Alternatively, installation & validation is optional. This includes a validation certificate for clients and auditors, giving your processes authentication and you peace of mind.